Jean-Guillaume Hyde de Neuville, France’s ambassador to the United States from 1816 to 1822, was a staunch royalist with a heart of gold. A counter-revolutionary who was exiled by Napoleon, he became a doctor, a farmer, a diplomat and a politician who was generous to his opponents. His wife was a noted watercolourist who left many sketches of early 19th century America. Jean-Guillaume (John William) Hyde de Neuville was born on January 24, 1776 at La Charité-sur-Noire in France, into a family of English immigrants. His grandfather, Sir James Hyde, was one of the Jacobites who followed the Stuarts into exile after the battle of Culloden in 1746. The de Neuville part of Jean-Guillaume’s name comes from a small estate he and his brother inherited through their mother. In 1790 Hyde de Neuville was sent to Paris to complete his studies. A royalist from an early age, he was soon distracted by the politics of the French Revolution. He received a military appointment but declined to take it up, being unwilling to take the revolutionary oath. He became active in counter-revolutionary schemes and came under official suspicion. 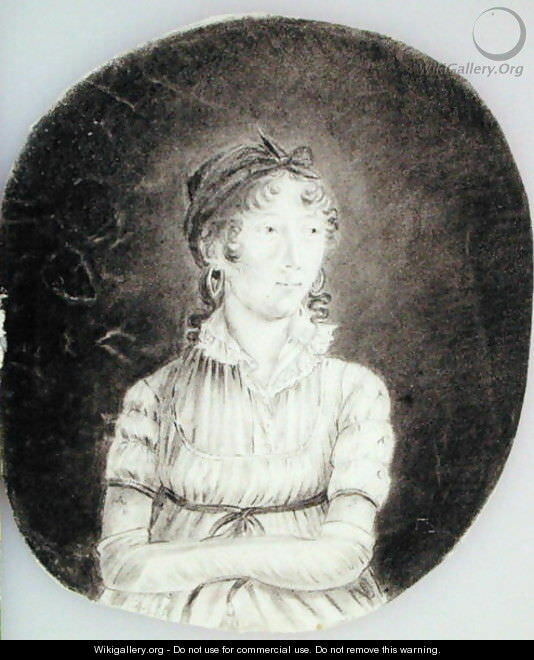 On August 23, 1794, at age 18, Jean-Guillaume Hyde de Neuville married Anne-Marguerite-Henriette Rouillé de Marigny. She was older than him, though just how much older is not clear. Both 1749 and 1771 have been suggested as her birth year. She was old enough to remember the festivities accompanying the birth of Princess Marie-Thérèse in 1778. She was also old enough to convincingly disguise her husband as her son when he was a fugitive. Anne-Marguerite was well off and became even wealthier when her father died in 1802, leaving her and her husband the château de l’Estang in Sancerre, as well as property in Paris. Napoleon and his police minister Joseph Fouché later became convinced Hyde de Neuville had played a role in the attempt on Napoleon’s life by the infernal machine on December 24, 1800. Hyde de Neuville and his wife concealed themselves at l’Estang. Their property was seized from them. In 1805, hiding near Lyons, Hyde de Neuville studied medicine, which he practiced under the name of Dr. Roland, and undertook some experiments in vaccination. They settled in New York and busied themselves with worthy pursuits. Hyde de Neuville studied medicine and agriculture and was elected a member of the Philo-Medical Society of New York. He founded a school for the children of French refugees from Saint-Domingue (Haiti). The American government contributed funds for the school’s construction; Hyde de Neuville organized balls and concerts and edited a monthly literary magazine to support the school’s operation. In 1811 he bought a small estate near New Brunswick, New Jersey, where he reared merinos. General Jean Moreau, then also in exile in the United States, tried to entice Hyde de Neuville to join him in serving with the allies against France, but Hyde de Neuville refused. Though a royalist, he was first and foremost a patriotic Frenchman. Anne-Marguerite painted watercolours, a number of which she published in a book called American Sketches in 1807. Jean-Guillaume Hyde de Neuville was elected as deputy for Nièvre in the Chamber of Deputies. In 1816, he was appointed French minister (ambassador) to the United States. He was warmly received by President Monroe, whom he had met when Monroe was the US minister to France (1794-96). Aided by the consuls under his supervision, including François Guillemin in New Orleans, Hyde de Neuville kept a close watch over the Bonapartist exiles in the United States. These included Joseph Bonaparte, Charles Lallemand, Charles Lefebvre-Desnouettes and other Napoleonic followers. 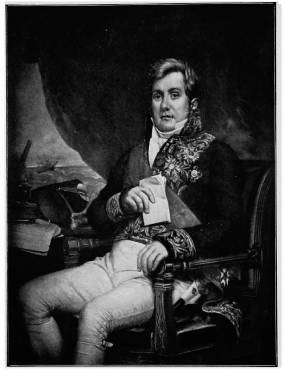 In August 1817, Hyde de Neuville received evidence of a supposed plot, connected to Joseph Lakanal, to make Joseph Bonaparte the king of Mexico. He brought this to the attention of US Secretary of State John Quincy Adams, who questioned the plot’s credibility. In April 1818, Hyde de Neuville expressed “much anxiety and alarm” to Adams about Charles Lallemand’s expedition to Texas. Regardless of Adams’s desire, after a short stay in Paris – during which Louis XVIII rewarded him with the title of Baron – Hyde de Neuville was back in Washington in early 1821. He had been appointed ambassador to Brazil, but before taking up this appointment he was instructed to finish negotiating a commercial convention with the United States. 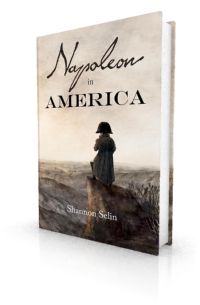 Thus Hyde de Neuville is the French representative in Washington when Napoleon lands on America’s shore in Napoleon in America. The treaty was finally concluded in June 1822. Hyde de Neuville left Washington immediately afterwards. With Brazil in revolt, he could not take up his appointment there, so he and his wife returned to France. In November 1822 he was elected deputy for Cosne. In 1823, he became the French ambassador to Portugal. As such, he helped rescue Portuguese King John VI, who had been imprisoned by his son. In gratitude, John VI gave him the title of Count of Bemposta. Back in France, Hyde de Neuville was reelected to the Chamber of Deputies in 1824 and 1827. He was among the constitutional royalists close to Chateaubriand. In 1828-29, he served as France’s naval minister. During his term, he showed sympathy for Greek independence, and prohibited the slave trade in France’s American possessions. After the 1830 July Revolution, which ousted Charles X from the French throne in favour of the Orléanist Louis-Philippe, Hyde de Neuville resigned from the Chamber in protest. He retired quietly to l’Étang, where he tended his vineyard, raised sheep and occupied himself with philanthropy. He continued to spend part of every winter in Paris. In 1837, he took an active part in discussions regarding a new treaty of commerce with the United States. In 1841, he petitioned the Chamber in support of free medical care for indigents. Jean-Guillaume Hyde de Neuville died in Paris on May 28, 1857 at the age of 81. Notwithstanding his years as an outlaw and an exile, he seems to have kept a sanguine attitude. There is a French biography entitled Jean-Guillaume Hyde de Neuville (1776-1857): Conspirateur et diplomate, by Françoise Watel (Paris, 1997). A large number of Anne-Marguerite’s drawings are owned by the New York Historical Society and a few are in the Stokes Collection at the New York Public Library. You can see some of them on the Early American Gardens blog and even more on my Pinterest page. Frances Jackson, ed. and trans., Memoirs of Baron Hyde de Neuville, Vol. I (Edinburgh and Glasgow, 1913), p. 126. Frances Jackson, ed. and trans., Memoirs of Baron Hyde de Neuville, Vol. II (Edinburgh and Glasgow, 1913), p. 57. Ines Murat, Napoleon and the American Dream, translated by Frances Frenaye (Baton Rouge, 1981), p. 62. W. Faux, Memorable Days in America: Being a Journal of a Tour to the United States (London, 1823), pp. 376-77. Charles Francis Adams, ed., Memoirs of John Quincy Adams, Vol. V (Philadelphia, 1875), pp. 136-138 (June 2, 1820). Ibid., p. 485 (April 2, 1822). Ibid., p. 540 (May 27, 1822). Memoirs of Baron Hyde de Neuville, Vol. II, p. 277. Memoirs of Baron Hyde de Neuville, Vol. I, p. xv. Thanks, John. He seems like a decent guy. I wish his wife would have written her memoirs as well. Good question, Jonathan, particularly since Hyde de Neuville was accused by Napoleon and Fouché of being involved in the infernal machine plot. According to Pierre Le Bastart de Villeneuve in Le vrai Limoëlan: de la machine infernale à la visitation (1984), there is no indication of contact between Hyde and Limoëlan in the United States (p. 237), but he does not rule it out (footnote p. 296). A nuanced account of a man who experienced tumultuous times and came to empathize with those whose lives were tossed about. Do you know the name of Hyde de Neuville’s farm in New Jersey? His English emigre neighbors in NJ, the Garnetts, were strongly anti-slavery and may have influenced his efforts to abolish slavery in French colonies in the Americas in 1820s. Thanks, Catherine. I’m glad you enjoyed the article. According to Jean-Guillaume Hyde de Neuville (1776-1857): Conspirateur et diplomate by François Watel (p. 50), the New Jersey farm was simply called “Neuvilles’ Farm.” It was located in Franklin Township one mile from New Brunswick on the Easton road, beside the Raritan River. 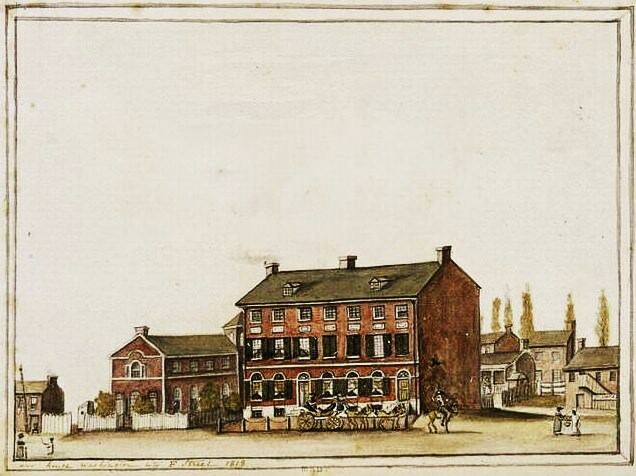 Hyde de Neuville also owned land in Somerset and Middlesex counties, and a lot on Schureman Street in New Brunswick. He never built on the latter. He sold all of his American properties by the end of 1825. Watel refers to John Garnett as Hyde de Neuville’s friend and neighbour, so you may be right about the influence. He is neither profound, nor sublime, nor brilliant; but a man of strong and good feelings, with the experience of many vicissitudes of fortune, a good but common understanding, and good intentions biased by party feelings, occasional interests, and personal affections.